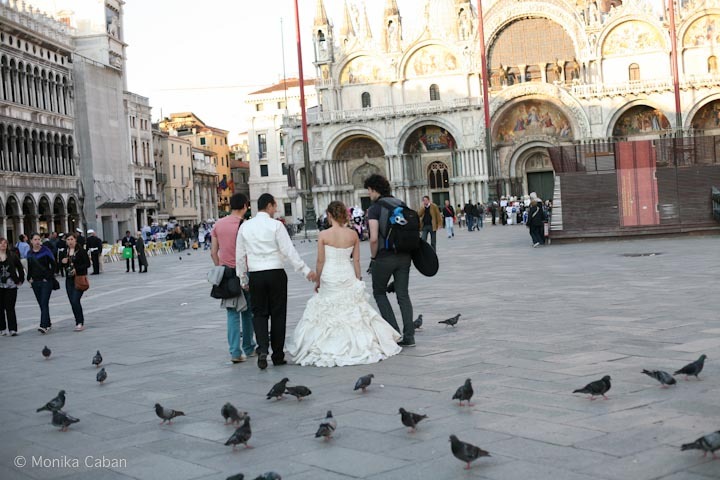 During my recent visit to Venice, Italy, I saw another wedding, or rather bride and groom, on St. Mark's Square, the square that every tourist visiting Venice must see. This time, due to some construction work, the square was not so photogenic than it usually is, but it is still the must see place to just stroll, have a coffee at Cafe Florian, or a glass of prosecco in the evening while listening to the live music. 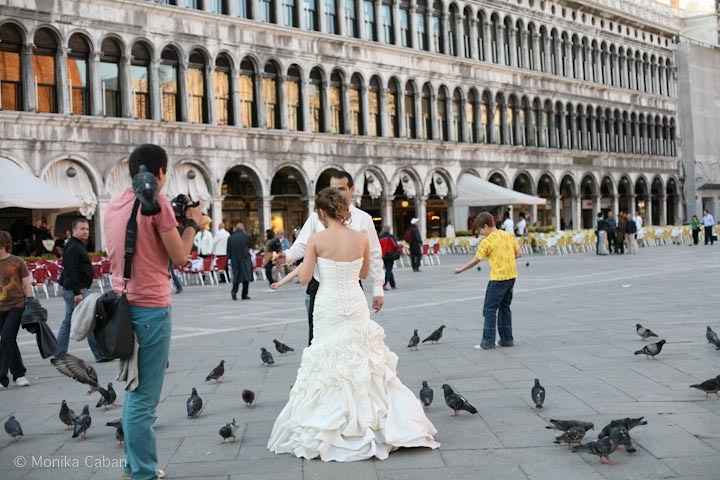 It is a romantic place especially in the evening and no wonder, every wedding in Venice does include a photo shoot with bride and groom on St. Mark's Square. 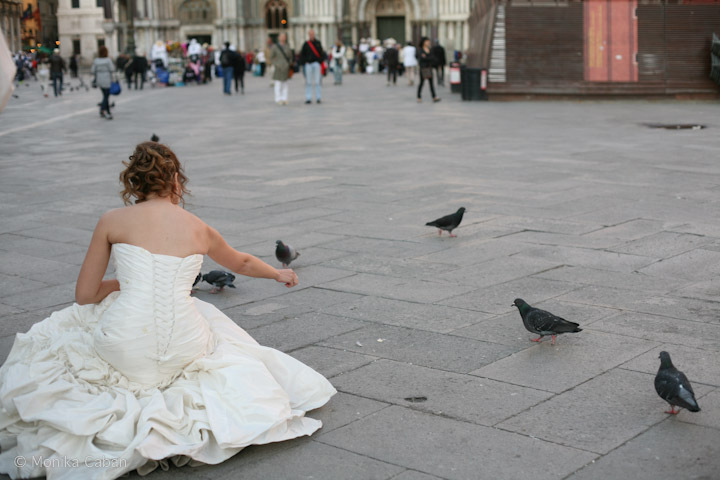 When I saw this bride and groom, curious as usual, I stopped and watched the the beautiful bride feeding the pigeons on St. Mark's Square. 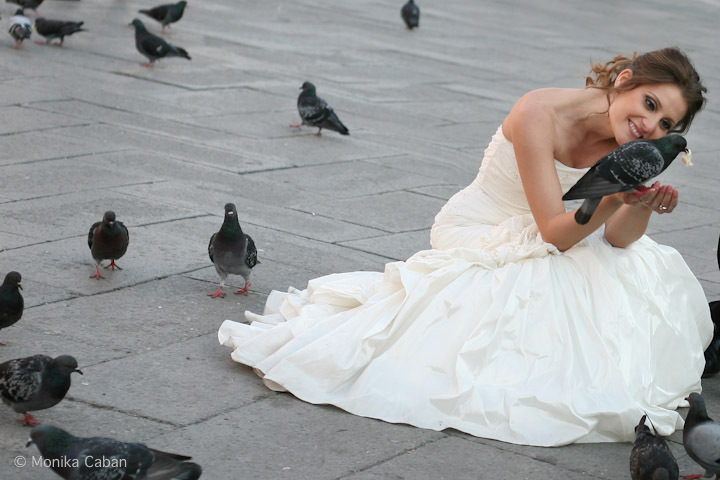 Two young photographers were photographing the bride and groom, while tourist were watching with curiosity. Everybody loves to see happy young couple, just married, bride beautiful in her wedding gown and I am a no exception. Plus the photographer in me is curious to observe the photo shoot. 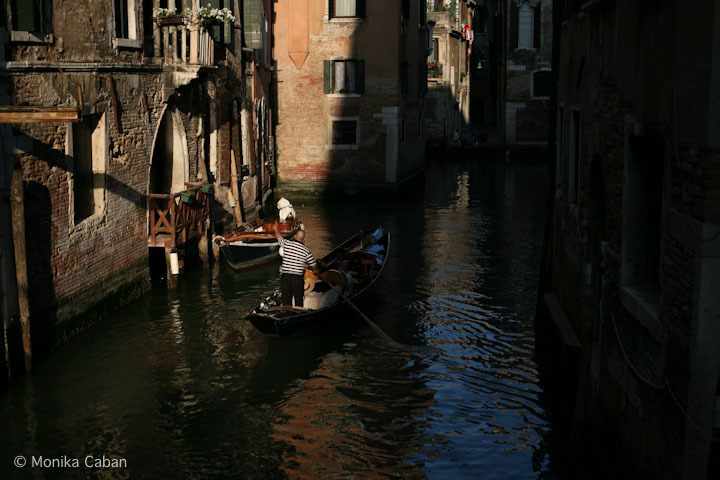 After a while, the bride and groom and their two photographers were leaving and I was happy to had a chance to see a beautiful bride, but also a little sad that I was not invited and could not follow them on their photo adventure in Venice. Later that day, while having a dinner in the restaurant nearby our hotel, to my big surprise, I see the bride and groom with two photographers walking down the street. They are not taking any photos now, just strolling and talking and their language is a little familiar. Curious again and now a little more brave, due to the glass of wine I had with my dinner, I decide to say Hi. I decide to approach four young people speaking some foreign language. I introduce myself, compliment the beautiful bride and handsome groom and congratulate them on their luck to have a photo shoot in Venice. I am so happy I did approach them, they genuinely appreciated my words and shared their story. 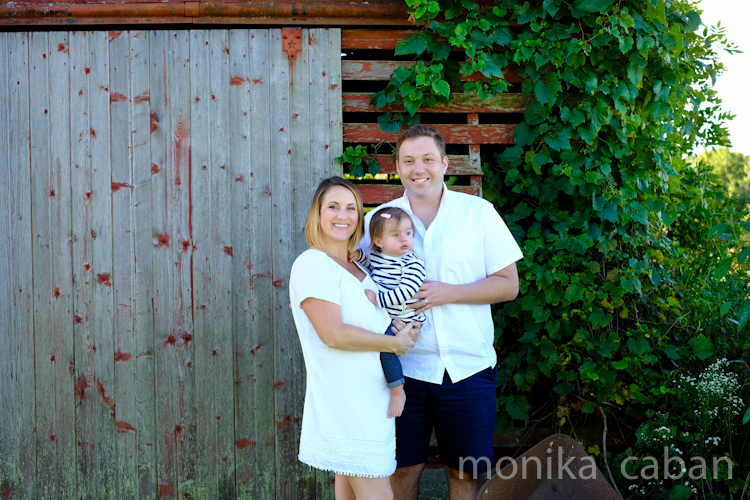 The bride and groom were from Romania and just celebrated their one year anniversary. 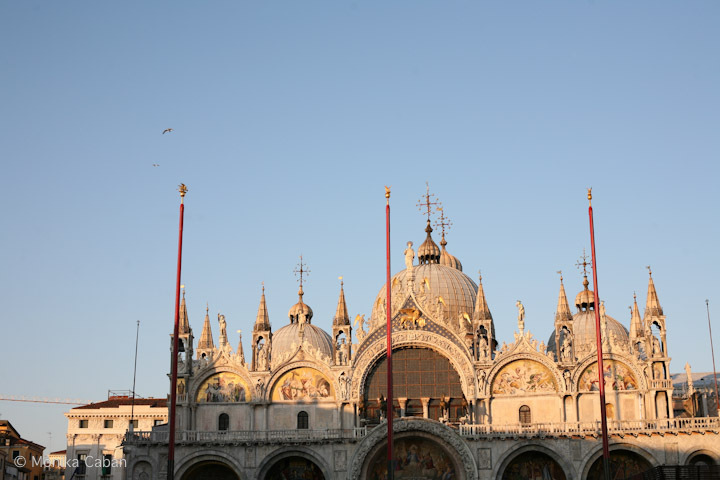 They decided to have a TTD session in Venice. They had two young talented photographers to accompany them. And very talented they are. 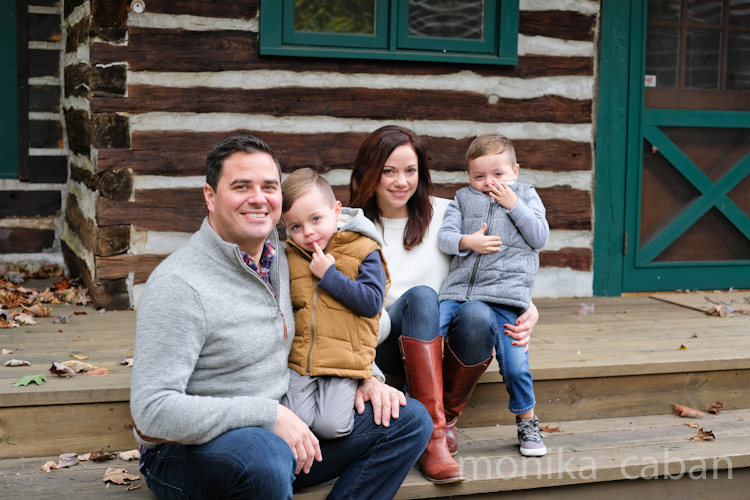 They showed me the images they took during the day and let me tell you, they were amazing. It was very sweet to see all of them get very happy and proud when I expressed my admiration over the work. It always feels good when a fellow photographer compliments your work. And the compliments were very well deserved, the work I saw was spectacular. I wish the young couple the very best and also to the talented photographer I wish a lot of success. It was a pleasure to meet you all.